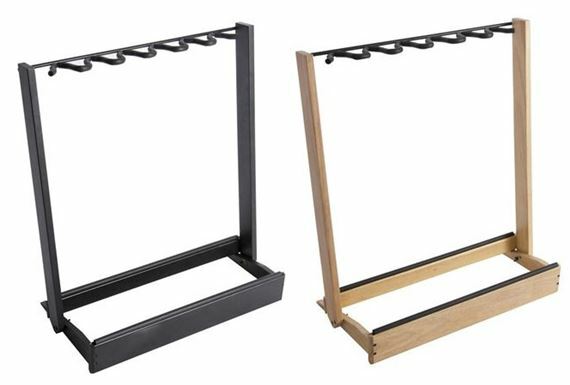 Shop On Stage Stands GS7563 Side-Loading Guitar Rack from AMS with 0% Interest Payment Plans and Free Shipping. 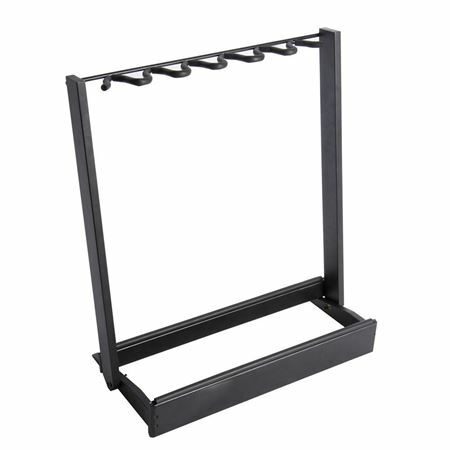 Show anywhere, go anywhere with the On-Stage GS7563 guitar rack. The all-wood construction and EVA bumpers beautifully display and securely cradle six electric guitars or three acoustic guitars or, of course, various combinations thereof. Elegant, protective and easily transportable, the GS7563 side-loading guitar rack combines visual appeal and practical functionality. 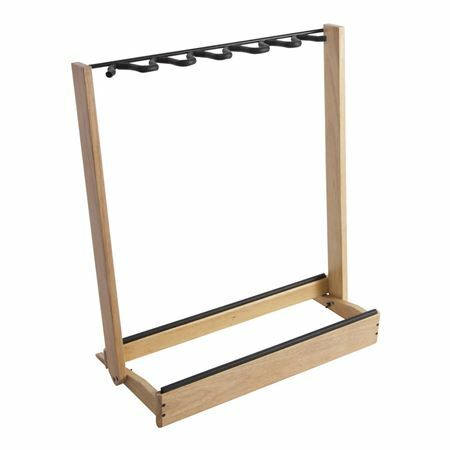 And its 25.5"(L) x 14"(W) by 30.5"(H) floor dimensions fold smoothly to 34.5"(L) x 25.5"(W) by 4"(H), so your instruments fit beautifully on stage as well as in the store or home, while the rack itself saves precious space while in transit. It's Black. It's a Stand. I really like this. It's simple to put together, I feel a bit more comfortable with it compared to the stand I had before (I have large dogs, although they are well mannered). I will state that I have it sitting in a recessed area next to a wall. I probably wouldn't feel as comfortable with it in the middle of a room, but I'm accident prone. There isn't much more to say about it. I like it, it's black, it's a stand that holds multiple guitars.